Charles Edge started looking to share his knowledge of the Mac OS X Server operating system in 2004. His first speaking appearance at a large conference was DefCon 2004. Since then he has spoken at conferences such as MacSysAdmin, MacWorld, LinuxWorld and BlackHat. Since then, Charles has been the author of 6 books, including the Enterprise Mac Administrator's Guide, Enterprise Mac Security and the Enterprise iPhone and iPad Administrator's Guide. For the past 10 years, Charles has been the Directory of Technology for 318, a Mac-first consultancy based in Santa Monica, California. 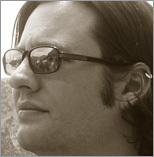 Charles is also the author of krypted.com, a site dedicated to heterogenous networking. "IT managers and systems administrators will find this a winner!"